Having expanded from satire in 1999’s Election to astutely observed dramatic comedies like 2002’s About Schmidt, director Alexander Payne has found his niche in making films about the human condition, where his flawed characters endure painful circumstances through the story’s use of comedy, without which the situation might be unbearably sad. The Descendants is Payne’s first directorial effort since 2004’s wildly popular breakout hit Sideways, and in many ways it’s his best. A study into coping with a family tragedy, the film, based on Kaui Hart Hemmings’ 2007 novel, finds a distant husband and father facing the impending death of his wife and the mother of his two daughters, and for the first time, he must be a real parent. The film could have easily crossed over into a manipulative, melodramatic tearjerker, but instead Payne treats the material with profound emotions and a very human sense of humor. George Clooney plays Matt King, a successful lawyer living in a Hawaiian paradise. But as he points out in the opening narration, some people call it a paradise and others call it home; don’t let the vacation spot illusion lead you to believe Hawaii is free of hardship. Matt faces two major crises at once: one of family and one of business. The most urgent concerns his wife, Elizabeth (Patricia Hastie), who is hospitalized in a coma after a serious boating accident. As the “backup parent,” Matt struggles to control his daughters, the rebellious 17-year old Alexandre (Shailene Woodley) and the ill-behaved 10-year-old Scottie (Amara Miller). 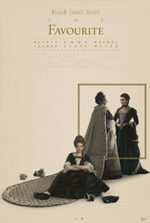 After Matt learns that Elizabeth will not recover and, as her will demands, she will be removed from life support, he tells Alexandre, who in turn reveals to Matt that her mother was having an affair. Now Matt must not only question how to raise his children alone, but question his marriage and the choices he made to drive Elizabeth away. On top of this, Matt presides as trustee over his extended family’s ancestral land, an inherited 25,000 acres of undeveloped waterfront real estate on Kuau’i, and has reviewed several half-billion-dollar offers from potential buyers. Should they sell, his entire family would become rich, and according to the trust’s terms, they have only seven more years to close the deal. As he weighs whether or not selling the land would be best, he and his daughters must drive around to family and tell them what’s happening with Elizabeth, with Alexandre’s stoner friend Sid (Nick Krause) tagging along no less. Matt’s tough-love father-in-law (Robert Forster) responds to the news by lashing out at everyone around him; Matt’s cousin (Beau Bridges) seems understanding, but he’s more interested in the land deal going through. 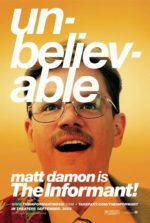 Meanwhile, Matt and Alexandre seek out Elizabeth’s elicit lover, Brian Speer (Matthew Lillard), only to discover he represents a connection between Matt’s two crises. What’s so involving about the screenplay by Payne, Nat Faxon, and Jim Rush, is that not one of these characters is one-dimensional, not even the airheaded comic relief, Sid. Indeed, Matt and Sid share a late-night scene together that may be the film’s most poignant—a touching brushstroke on how different people handle their pain in different ways. Too, Alexandre grows from a teenager who’s angry with her parents and openly disrespectful to her father into her father’s most jealous defender. Unlike her older sister, Scottie is left in the dark about her mother’s impending death, although when she’s finally told, the scene will break your heart. Even the adulterous real estate goon Speer and his wife (Judy Greer) are given scenes that deepen their characters. Payne makes the experience one that swirls our emotions about by lending flesh and blood to his supporting characters, and the film is all the more affecting as a result. Of course, the greatest leap is taken by Matt, and Clooney stretches his skill as an actor here to deliver his most nuanced performance since Michael Clayton. Clooney has been a solid and reliable leading man for years, but he rarely tests himself; when he’s not playing a thinly veiled version of “George Clooney”, by and large he’s some kind of buffoon (see O Brother, Where Art Thou? or Burn After Reading). Payne coaxes a loaded performance out of the actor, one that doesn’t find him as a suave ladykiller or someone who’s got it all together. Clooney embodies a tired, middle-aged man with a weight on his shoulders and gray in his hair; he is not a romantic or charismatic figure, but a father and husband, and a heartbroken one at that. Much Oscar talk has been associated with his performance, and in reflection one could hardly argue against it. But then Woodley’s unexpectedly shining performance also deserves a nomination, as she enters waters just as turbulent in her role. 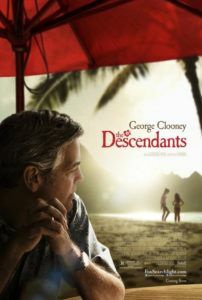 The most significant performance in The Descendants remains Hawaii itself, superbly shot by cinematographer Phedon Papamichael to capture misty mornings and overcast skies that strip away the locale’s paradise façade. One significant shot, showing the King family’s gorgeous acreage, contains all the beauty one might expect from a Hawaii-set film in a single image. 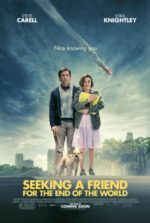 Much like the film’s overall look, Payne balances the tone of solemnity and tragic circumstances with humor to offset the sometimes overwhelming sadness in the story. Recounting the plot’s events for someone, you might find yourself wondering why you weren’t completely devastated afterward. But Clooney’s wryly humorous performance and the rich characterization involve you, move you, and ultimately instill the film with a significance that stays with you but doesn’t leave you ruined for having experienced it.